Just one other ingredient for the Plum Duff-water. 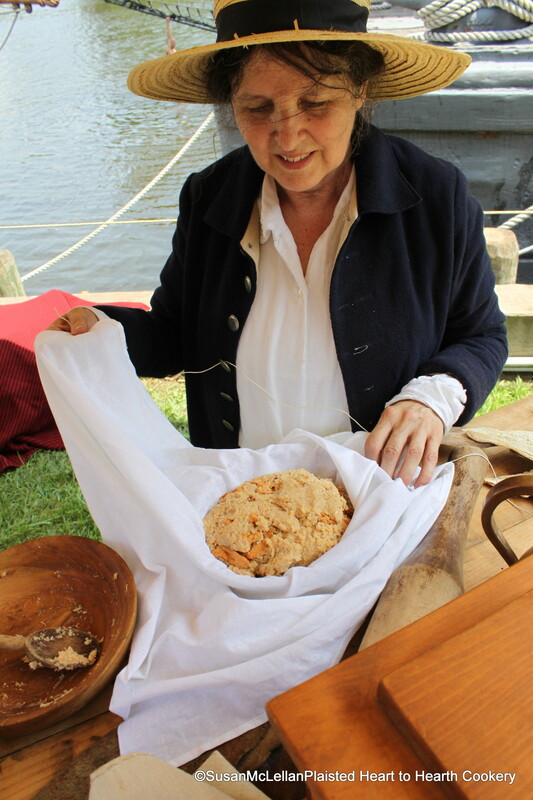 Water was added to the finely crushed ship biscuit and dried apples until it was a good consistency to place in the pudding bag (a square of linen cloth). I will bring the ends of the cloth together and tie it with twine.